Introducing our 3rd flavor in our expanding protein line: Beef Potato. Introducing our 3rd flavor in our expanding protein line: Beef Potato. This is a tasty meat lovers treat that barks (if it could talk), eat me! 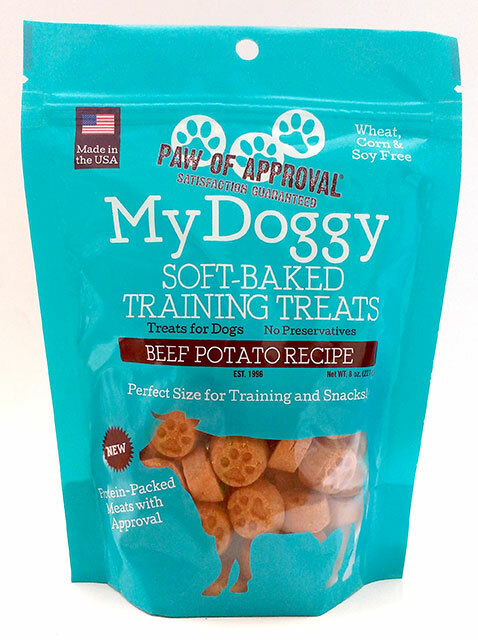 This is the first of our protein line to come in our training treat size. This is a perfect size for training, snacking and/or to take on the go. 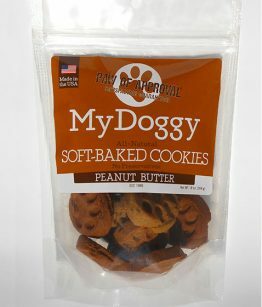 I let my dogs try these treats and they wouldn’t quit begging for them. They LOVED them. Thanks, Sarah! We appreciate your comment. My girls love these. We use them as regular treats because there just the right size. Would love to see more flavors though. Thanks for your feedback! 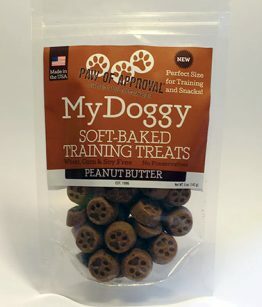 Our training treats also come in three other flavors: Peanut Butter, Apple Honey, and Cheesy. I will email you, but I also wanted to note here the Beef Potato is available in a 5lb bulk bag. Thanks for your comment! Ingredients: Rye Flour, Molasses, Beef, Potato, Palm Oil, Eggs, Parsley.